Fig. 7. 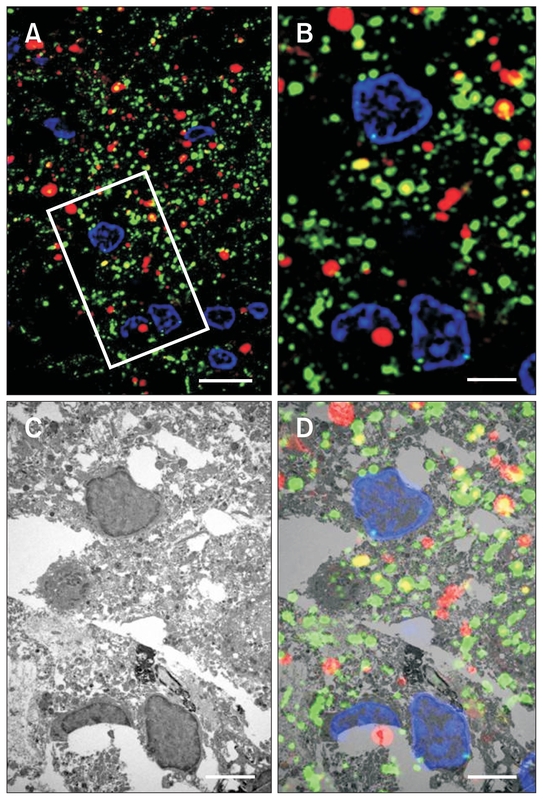 (A) Confocal microscopic double-labeled image with osteopontin and mitochondria marker NDUFV2. Higher magnification the boxed area in Fig. 7A show the corresponding transmission electron microscopic image obtained from the same field in the 3-nitropropionic acid (3NP)-injured lesion core (B–D). Scale bars=5 μm (A), 10 μm (B–D).